When I went to Target to purchase everything for this recipe, the cashier looked into my basket and said, “Oh! You’re making s’mores.” I felt like Rowan Atkinson in Love Actually as he tried to explain that his gift wrapping was “so much more than a box.” Or, in this case, more than a s’more. OR S’more than a s’more! I’ll stop now…. 3. Mix together vanilla, eggs, brown sugar, melted butter, flour, salt, baking soda and cinnamon. 4. Add entire bag of chocolate chips (yeah, I’m serious) and half of the marshmellows. 6. 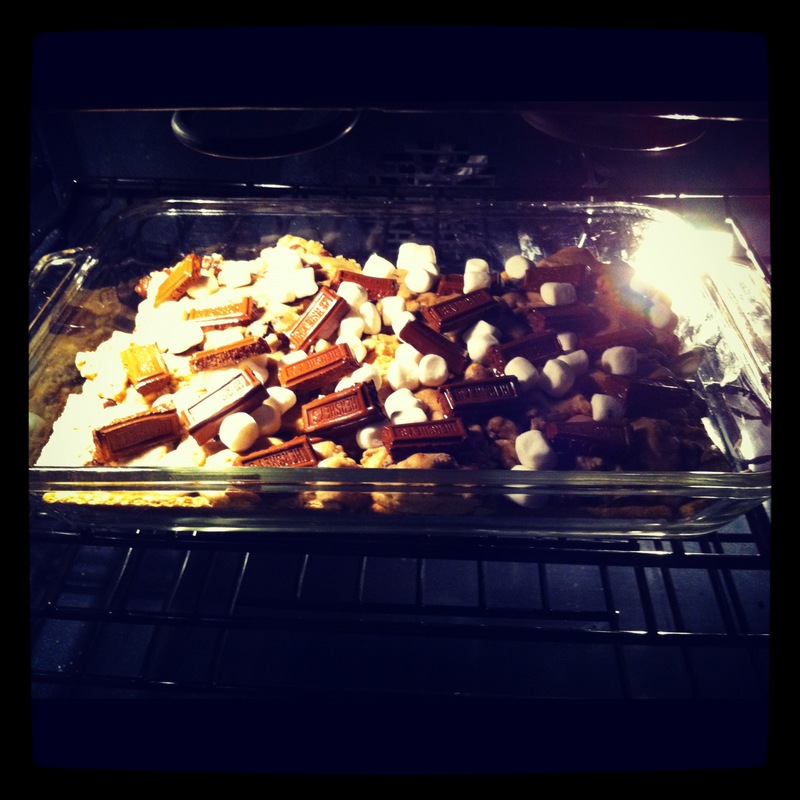 Leaving the oven on, top the dough with the rest of the marshmellows and the hershey bars (in bits). 7. Bake another 12 minutes. Let cool for 1 hour before cutting. Serve with a glass of cold milk.